​ The new body-jet® evo represents an innovative enhancement to the 1st generation of the proven and reliable body-jet®. These products have turned water-jet assisted liposuction (WAL) into a successful and worldwide established method of gentle adipose tissue harvesting and autologous fat transfer. 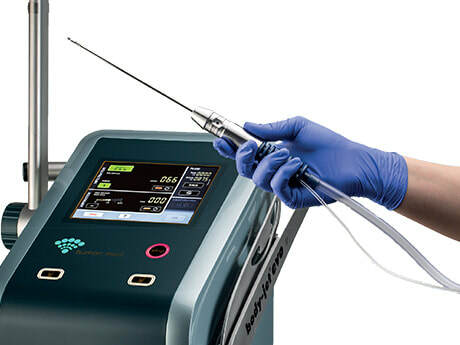 Using innovative water-jet technology, the fat cells are gently detached from the connective tissue, by means of a fan-shaped pulsating water jet and simultaneous aspiration. Compared to traditional liposuction, Body-Jet Lipo has many benefits. Body-jet liposuction cuts down on bruising, bleeding, swelling and procedure time. The procedure is minimally invasive and this means that it cuts down on recovery time so you can get back to your normal life within a few days. By using local anesthesia instead of general anesthesia, the procedure cuts down the risk from general anesthesia. A shorter operating time means that you can be done in one to two hours which can be performed in the office. ​ Please call us to make an appointment for evaluation.